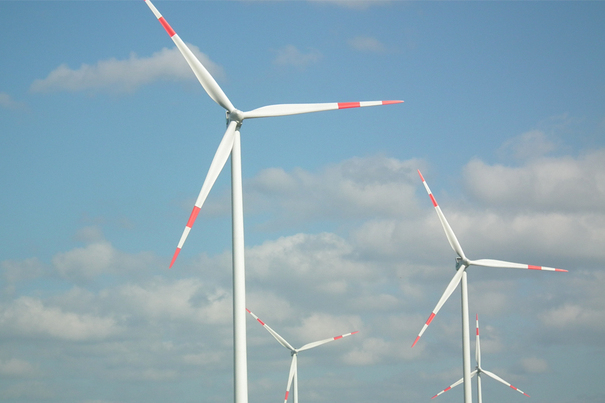 According to a study Germany's share of renewable energy has risen to a record high in 2015. Berlin - According to a study by the think tank Agora, nearly a third of Germany's energy consumption (32.5%), is covered by rewenable energy sources such as wind, solar, hydroelectric and biomass energy. This represents an increase from 2014, where rewenable energy sources covered 27.3% of Germany's energy consumption. The sharp increase is mainly due to a large increase in the production of wind energy, which increased by 50% from 2014. Germany's production of electricity also reached an all-time high of 647 Terawatt hours, this was achieved mainly due to continued steady production of electricity generated by burning coal, despite the increased production of electricity by rewenable energy sources. Last year, a tenth of Germany's generated electricity was exported abroad - also a new record. Germany has an "abundance in generated electricity" according to the director of Agora, Patrick Graichen. However, due to the increased production of rewenable energy in Germany, coal-generated electricity has become "superfluous" and is being exported more and more abroad. The environmental organisation Greenpeace has warned not to be mislead by these statistics. "Germany's unambitious energy policy has slowed the dynamics of the energy transition due to its small aims in increasing rewenable energy infrastructure". The increase of rewenable energy production in 2014 was only due to the short-term increase in construction of new powerstations, though this is not a long-term trend. Germany's construction of wind turbines will be much lower in 2015 than in the previous year, according to the estimates made by the German Renewable Energy Federation (BEE). 675 new Wind turbines will be built until September 2015, each having the ability to generate 1821 Megawatts of electricity. The production of new solar and biomass energy power stations has been at a considerably low level, this trend was also to be seen in 2014.